We are loving this gorgeous weather!! To me, there is nothing like spending time outside. It is good for the soul. I feel so much happier when the weather is beautiful and we try to take advantage of being outside as much as possible. 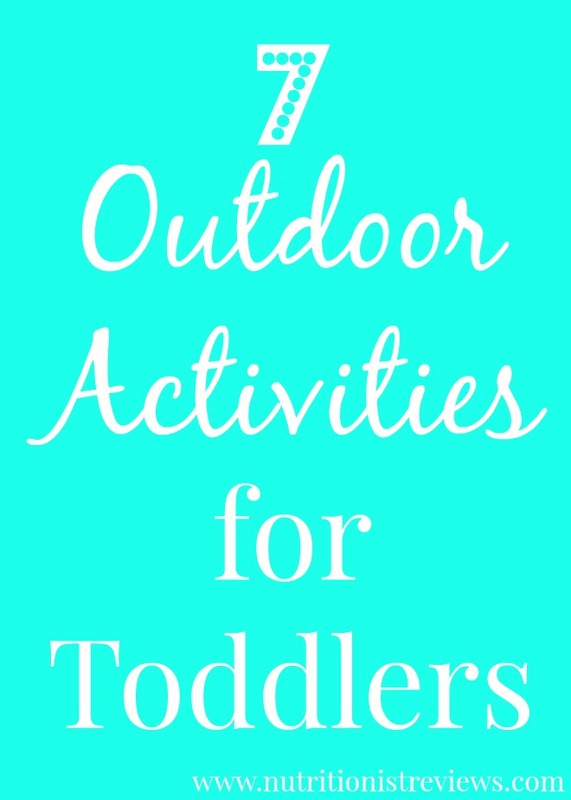 Here are some of our favorite toddler activities to do outside when the weather is nice. Adalyn loves running through the sprinklers on a hot day. It is so easy to hook up a little sprinkler in the yard for her and it is something fun that Troy and I can do with her as well. Nothing like a little ice cream on a summer day! We love to eat outside in the summer! Since we can't do it about 8 or so months during the year, we try to eat outside as much as possible when the weather is nice. We have an outdoor table and we just pull up Adalyn's high chair to it. We also have snacks on the grass often. We live in a city but there are always animals on our front lawn and in the bushes next to our house. Adalyn is obsessed with going to see the bunnies, squirrels and birds. In this photo, she was chasing a bunny near us. 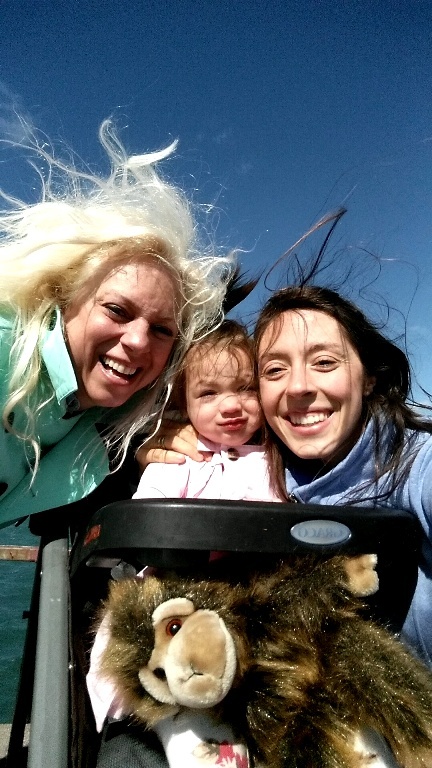 The windiest day ever at Belle Isle! Okay, okay! I know that I talk about going on walks just about everyday on my blog but it is one of my favorite things to do. Adalyn loves riding in the stroller (as long as she has a snack haha). Sometimes, we let her walk on her own but we do not make it more than a couple of blocks at this point. 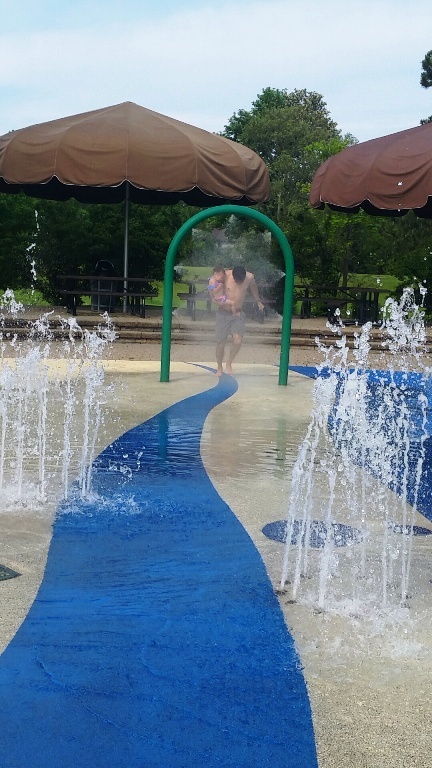 We have a park with a pool and a park with a splash pad very close to us so we try to go to each at least once a week. Adalyn loves running around the splash pad and loves when we play with her in the pool. She is a little fish! My 87 year old grandma taught Adalyn how to play hide-and-seek and she loves it. Her hiding may just be covering her face with her hands but it is still fun. I love to go hide around the corner and she comes and finds me. It pretty much always ends with us both laughing which is so much fun! I never knew that a toddler who is 1 1/2 years old could help with gardening but she can! Adalyn loves to water the plants, pick the lettuce (and eat some!). Of course, when Adalyn gardens (and pretty much does anything outside), she gets super messy and dirty. Popsicles on the patio = stained clothing. Gardening = dirt ground into clothes. Therefore, we always have a bunch of laundry to do. Troy is our stain fighter in the house and does an awesome job. To keep Adalyn's clothing soft, we use Downy Fabric Conditioner which you can find at Walmart. It makes her clothing last longer by helping with preventing stretching, fading and pilling. Downy conditions, strengthens and lubricates the fibers to prevent the friction which happens with a normal washing cycle.